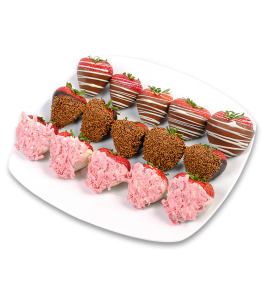 Strawberries Trio Strawberries covered in chocolate are one of the most popular delicacies in..
Valentine's Day Strawberries Valentine's Day Strawberries from fresh strawberries dipped in ..
Strawberries in chocolate Strawberries in chocolate are the original box of chocolates, which..
Chocolates Strawberry Heart Mix This fruit contains a box of chocolates decorated with fresh..
Strawberries in dark chocolate with red hearts Strawberries in chocolate are the original box..
Fruit Bouquet Summer Love Juicy and sweet strawberries soaked in quality Belgian chocolate ar..
Pineapple Flower Fruit boxes are a healthy and delicious delicacy for mellow tongues. 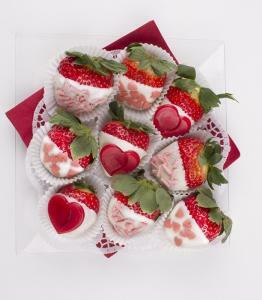 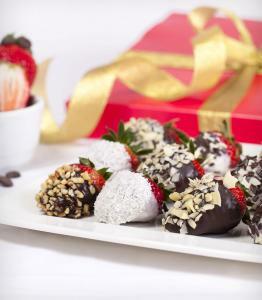 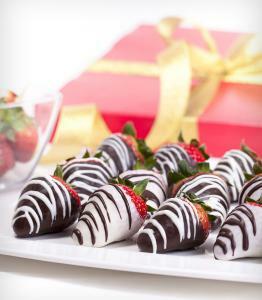 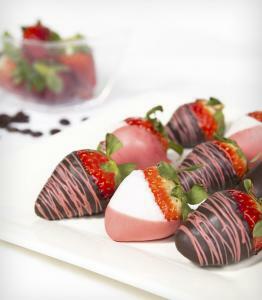 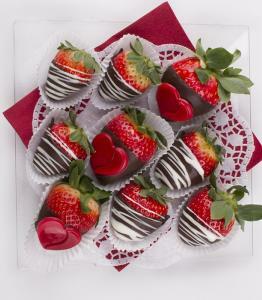 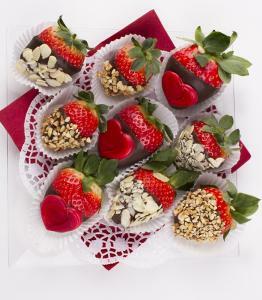 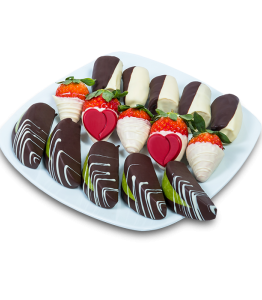 In the ..
Fruit Box Special Strawberries, bananas and apples are best fresh and soaked in chocolate. 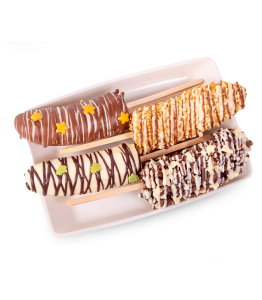 Fr..
Banana Split Banana Split is a very popular delicacy which tastes to everyone. 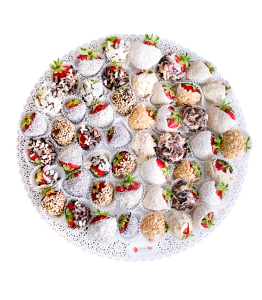 Pieces of swee..
Winter Sweets Winter Sweets is a sweet box that consists of fresh fruit dipped in qualit..
Strawberries in chocolate mix Strawberries in chocolate mix from fresh strawberries dipped i..
Frutiko fruit chocolate boxes are full of delicious fruit dipped in white and dark chocolate. 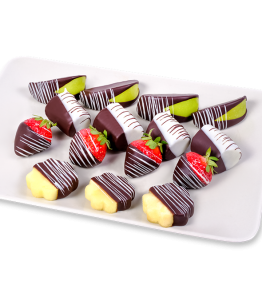 Our decorative fruit Chocolate boxes represent the perfect combination of fresh fruit and high-quality chocolate. 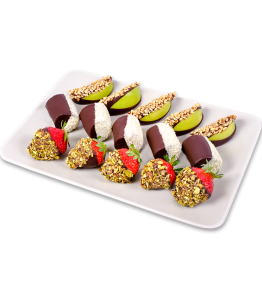 As well as our fruit bouquets&, the fruit chocolate boxes are an original and healthy gift for every occasion, as they will brighten the day of each lover of fruit in chocolate. 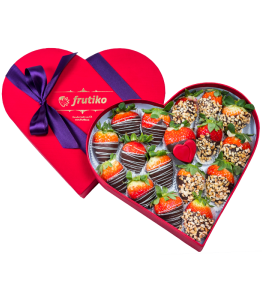 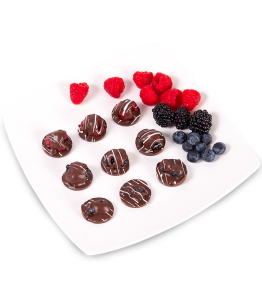 Frutiko luxury chocolate boxes are always made from fresh fruit in chocolate. 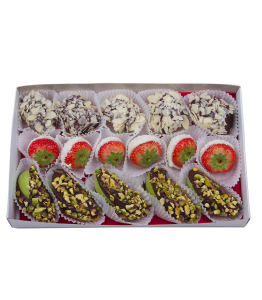 Send the chocolate box in Prague, Brno or anywhere in all the Czech Republic. 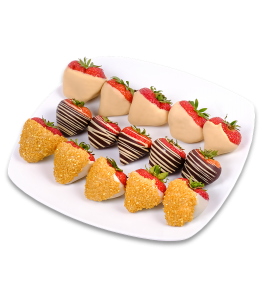 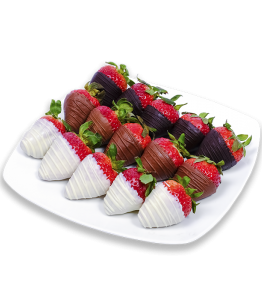 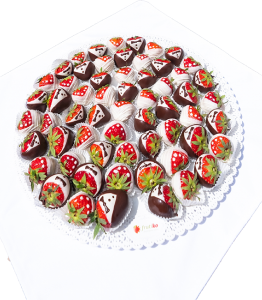 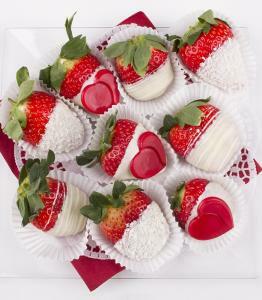 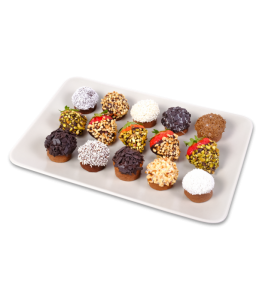 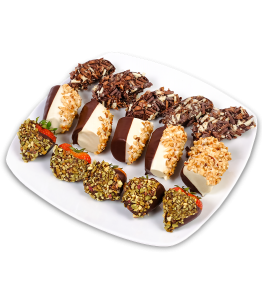 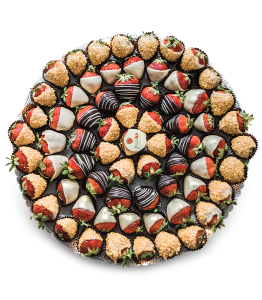 Your delicious and healthy gift will be delivered on the day of the order or on the requested date along with your personalized greeting card attached.Try Strawberries in chocolate mix or Bananas in chocolate mix in a beautiful decorative box. 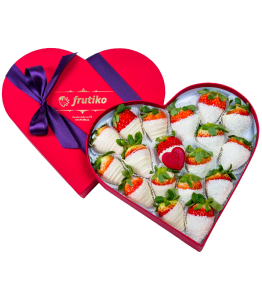 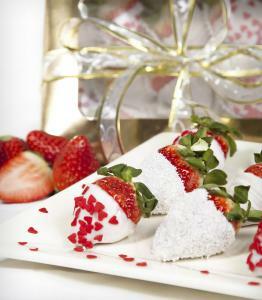 Frutiko choco-boxes are a suitable gift for both men and women.